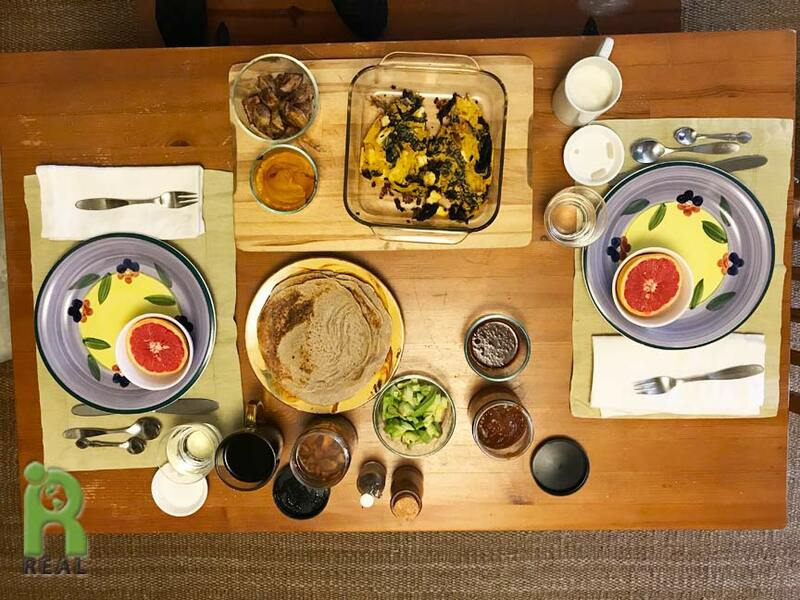 Breakfast: When we were in California I had tried to make Buckwheat Crepes for our friends John and Deo. 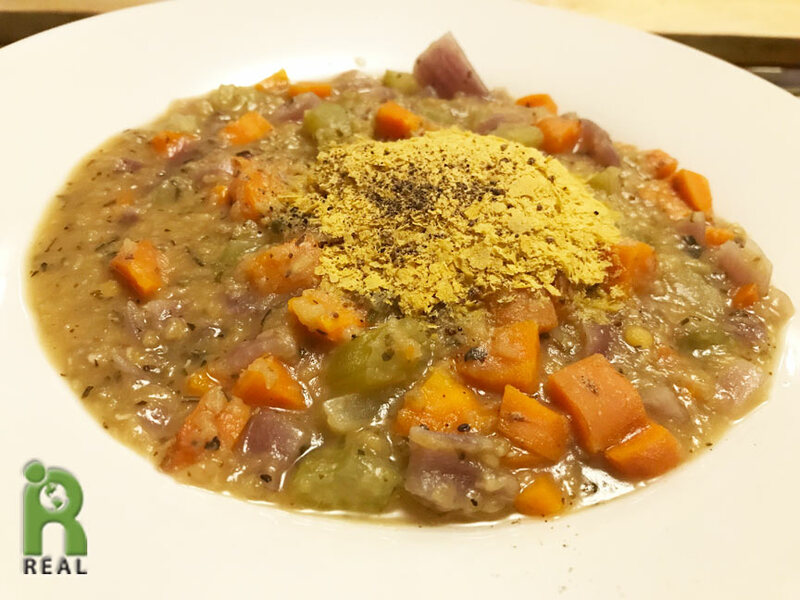 Deo only had toasted Buckwheat Groats and I quickly learned they would not work! 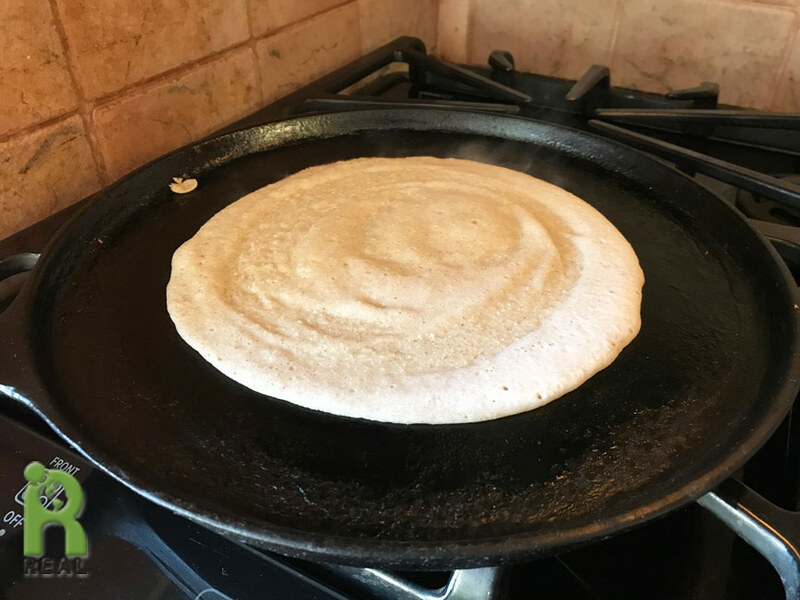 When at home I make a Buckwheat Flour from raw Buckwheat, not toasted and it makes all the difference. I couldn’t wait to make some when we got home. We had a beautiful breakfast, celebrating being back home. 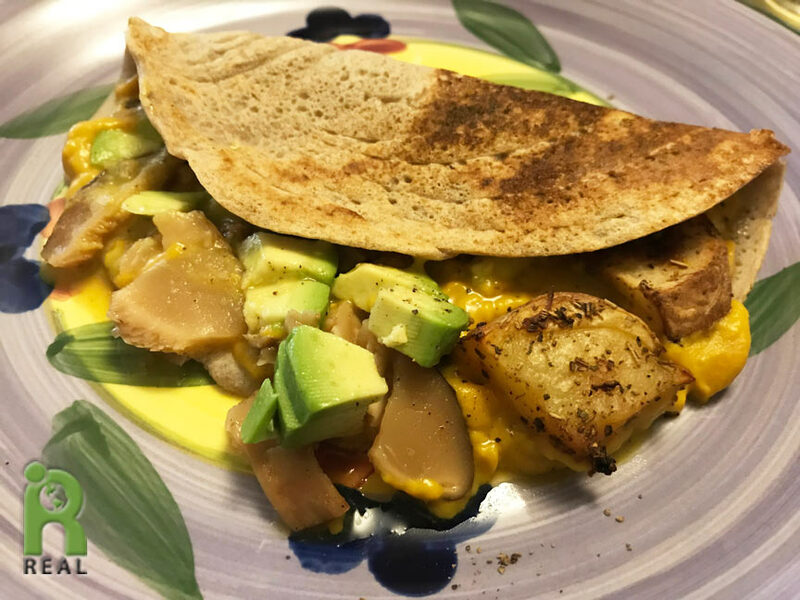 The Buckwheat Crepes had sweet and savory fillings: Apricot Butter, Avocado, Home Fries, yesterday’s No-Egg Omelette, Mushrooms, Cheesy Lentil Sauce and Pink Grapefruits. I started with savory ingredients, Gary began with sweet. Then we switched for the second crepes. 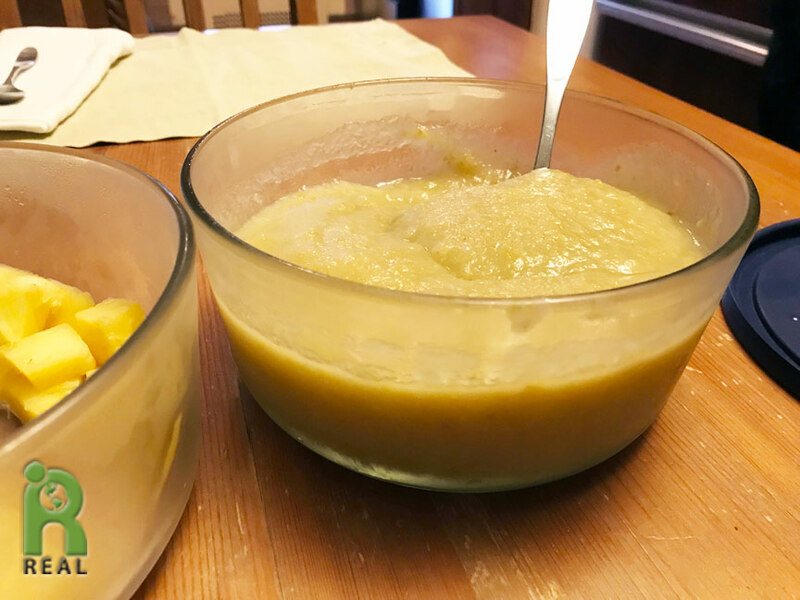 Lunch: You may remember that Gary made a fresh Apple Sauce before we left of California. We froze it before leaving and today we had it, defrosted, for an afternoon snack with Pineapple. Dinner: Gary whipped up a Red Lentil Soup for dinner. 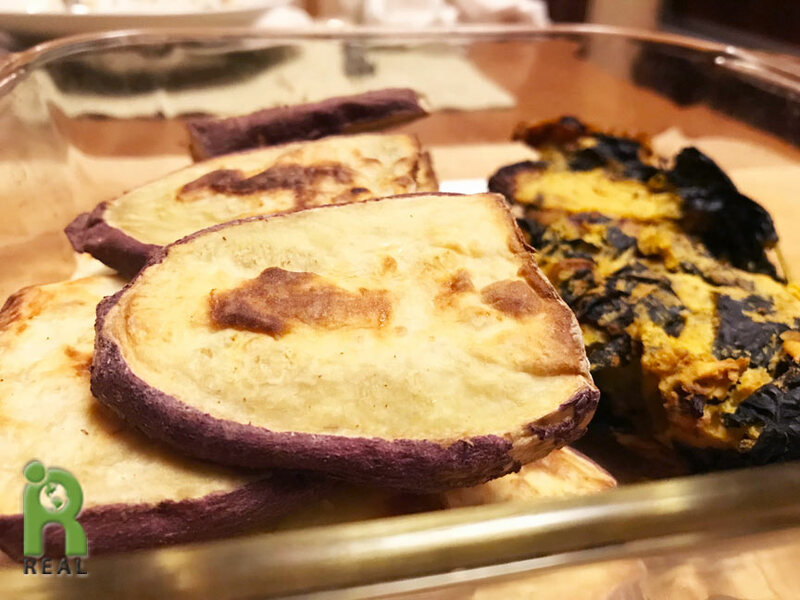 After the soup we finished up the No-Egg Omelette and had some super sweet Yellow Sweet Potatoes and a Kale Salad.